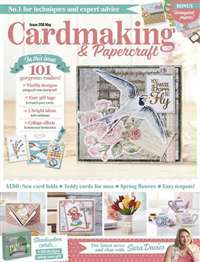 Creative Knitting's primary goal is to bring knitters a variety of fun-to-knit projects using wonderful new yarns and patterns that are easy to understand. Each issue features 35-45 projects including fashionable designs for real people, afghans and home accents, accessories for entertaining, delightful baby and kids garments, and gift ideas that don't take a huge time or dollar expenditure. Our Knitting Class section and In The Know articles offer clearly written information to enhance your knitting experience. 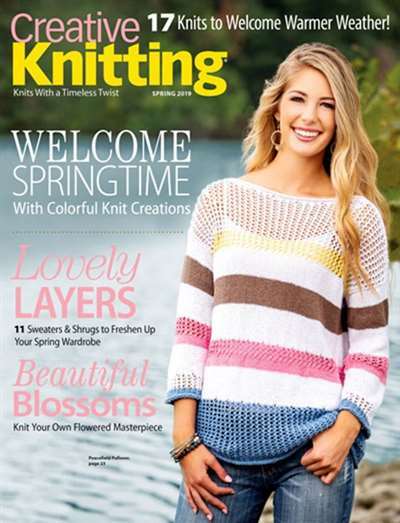 Subscribe to Creative Knitting Magazine at MagsConnect Canada. Why is this so expensive through amazon?? 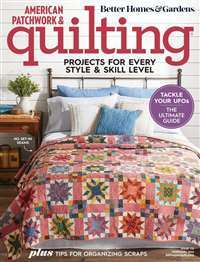 This is a wonderful magazine full of great, well written patterns. I subscribe directly from the publisher [...]. 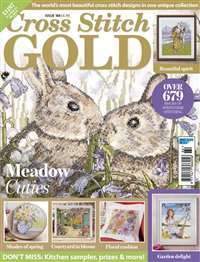 I share this magazine with my knitting group and several now have their own subscriptions. Creative Knitting is relatively new to the knitting market, a welcome addition. 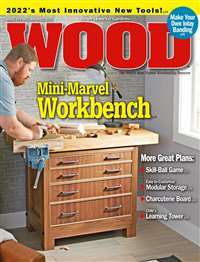 While I haven't subscribed yet, I pick up copies at the newstand and have generally found the quality of the patterns, styles, and articles to be pretty good. The directions for the garments that I've made have been accurate and error free. Except for things like bikinis (who at any age would wear a hand-knitted bikini?) and slacks (?! ), most of the designs are modern and adaptable. 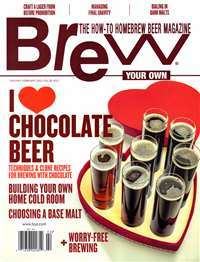 With 20 or more projects in each issue, CK is a bargain. Hope these editors and designers keep up the good work.